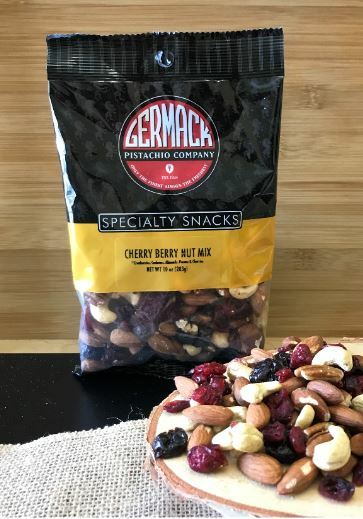 10 oz.of cashews, dried cranberries, Michigan dried cherries, almonds, and pecans, as pure as nature made them, unroasted and unsalted. This incredibly healthy blend of natural unroasted unsalted nuts and dried fruits is a winning combination and our top selling fruit and nut mix! 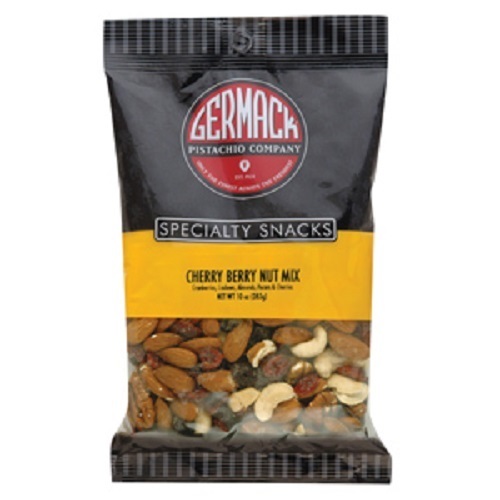 Wonderful for healthy snacking and an impressive party snack or gift item.